🎼 Fri-Yay Frolic Time!🎼(Bloggers Music Video Request) Weekend Kick off!!! Happy Fri-Yay and first Weekend in August! It’s time to shake off this week, and celebrate that we all made it to the Fri-Yay! This is where you… The Blogger place your music video request, and I, your personal DJ play that requests. Thank you to all the participants that joined the Fri-Yay Frolic Time! Great music to jumpstart the first weekend in August! 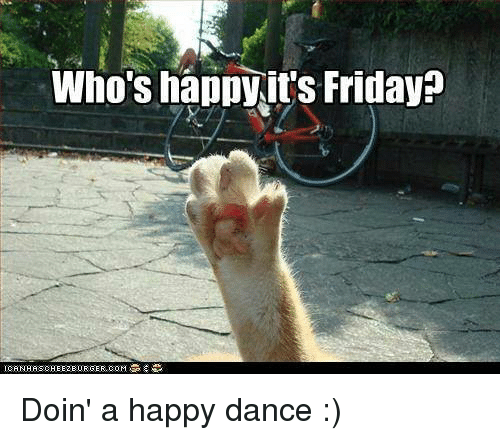 If you would like to join in the “Fri-Yay Frolic Time” all you have to do is enter your music request in the comments section of this post. Then, on Fri-Yay of 08/10/18, your music video will be played. Rules are pretty darn simple, eh? Hope that all of you have a fantastic weekend! Look forward to next weeks request! Aha Thanks for playing “Take me to church”.Have a happy friday!! You’re so very welcome. How about you, my dear? Do you have any request for next Fri-Yay? Hmmm..let em think..hmm..Can’t stop the feeling Justine Timberlake. Sorry for the late response. You got it! 🙂 Thanks for participating! Thank you for sharing so many great songs Beckie!! Of course my favorite is “Your Guardian Angel”, but I love listening to music of all kinds so this was really amazing!! I hope you have a wonderful and restful week Sweetie!